Date: Jan. 13 – 17, 2020. Fr. Eugene Hensell, OSB is a Benedictine monk of Saint Meinrad Archabbey. Throughout his life, Fr. Eugene has been a professor, performed parish work, worked in campus ministry, and served in a few different leadership roles at Saint Meinrad. He is also a renowned biblical scholar and has traveled widely for more than twenty years to give retreats. John was the last canonical gospel accepted into the New Testament. Its style is quite unique and is often referred to as “the book of signs.” This is because the first twelve chapters of this Gospel present at least seven main signs that help reveal the “real” identity of Jesus. On this retreat, Fr. 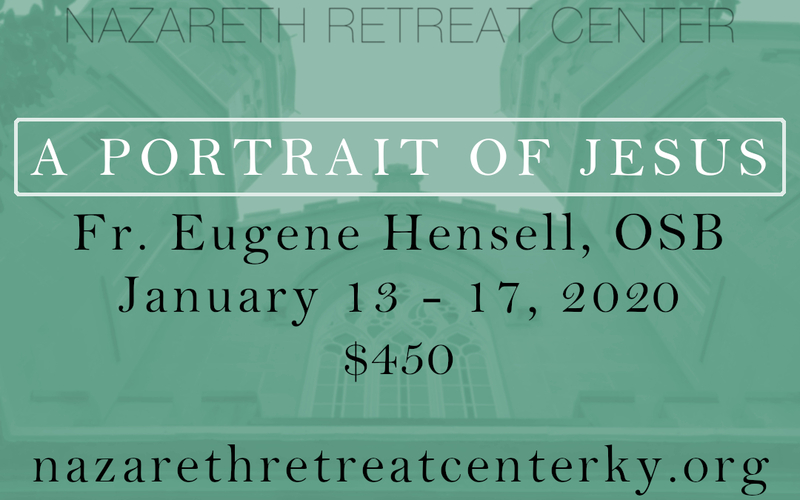 Eugene will explore the Gospel of John to paint a portrait of Jesus that you haven’t ever had a chance to admire before. Daily opportunities for Mass, prayer, and the Sacrament of Reconciliation will be offered. Registration ends on December 31, 2019 or until retreat is filled. Please fill out the form below.